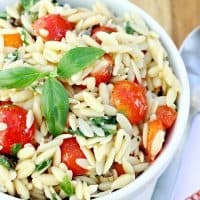 MEDITERRANEAN ORZO SALAD — Orzo pasta is tossed with tomatoes, red pepper, olives and spinach and a simple balsamic vinaigrette for a light, healthy salad you can prepare in no time. Orzo is one of my favorite little pastas, and this Mediterranean Orzo Salad is simple, delicious and healthy. This light, refreshing salad is great for a picnic, summer barbecue or quick, light lunch. If you take your own lunch to work, this is a great option! Feel free to make substitutions based on what you have handy. Any color of bell pepper works well and so do regular olives and halved cherry tomatoes. You could even change up the veggies (kale would be great in place of spinach), or add a protein, like leftover chicken, or my personal favorite, chickpeas. If you grow a garden, you’ll probably have many of the ingredients–like the basil and tomatoes–for this salad right in your own backyard! 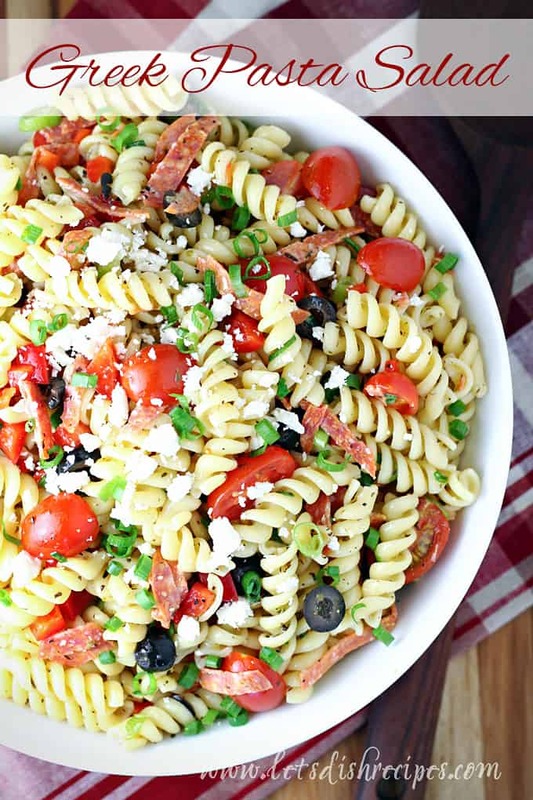 This Mediterranean Orzo Salad is so versatile and easy, it’s one I make again and again. 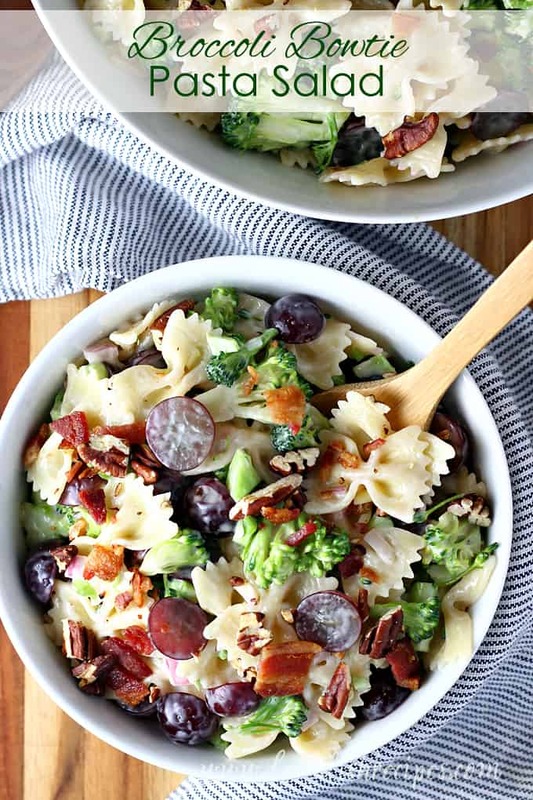 Be sure to save this Mediterranean Orzo Salad recipe to your favorite Pinterest board for later. 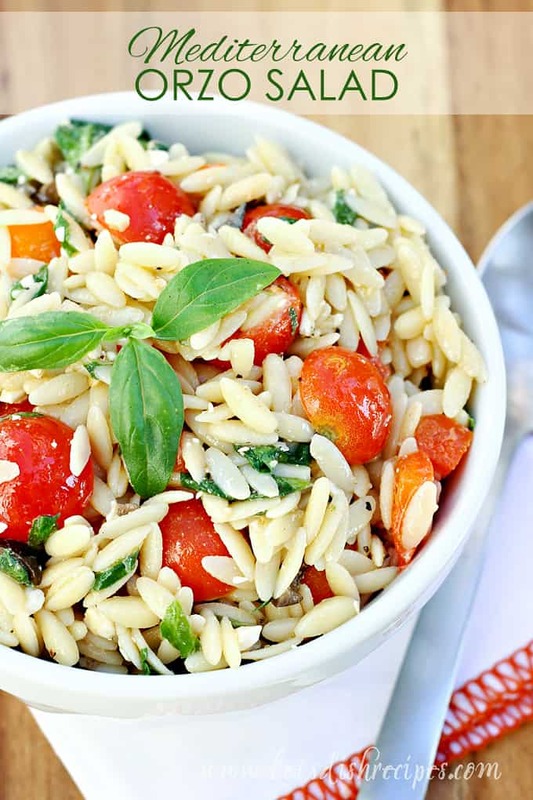 Orzo pasta is tossed with tomatoes, red pepper, olives and spinach and a simple balsamic vinaigrette for a light, healthy salad you can prepare in no time. Cook orzo according to package directions. Rinse with cold water and drain. In a large bowl, toss pasta with chopped bell pepper, olives, spinach, basil and feta. Season with salt and pepper, to taste. In a medium bowl, whisk together olive oil and vinegar. Pour over pasta vegetable mixture and stir to combine. Chill before serving. Who Dished It Up First: I came across this recipe at 33 Shades of Green and couldn’t wait to try it. Thanks Alissa! this looks delish..my cousin makes a version similar to this and it is great for picnics and bbqs! 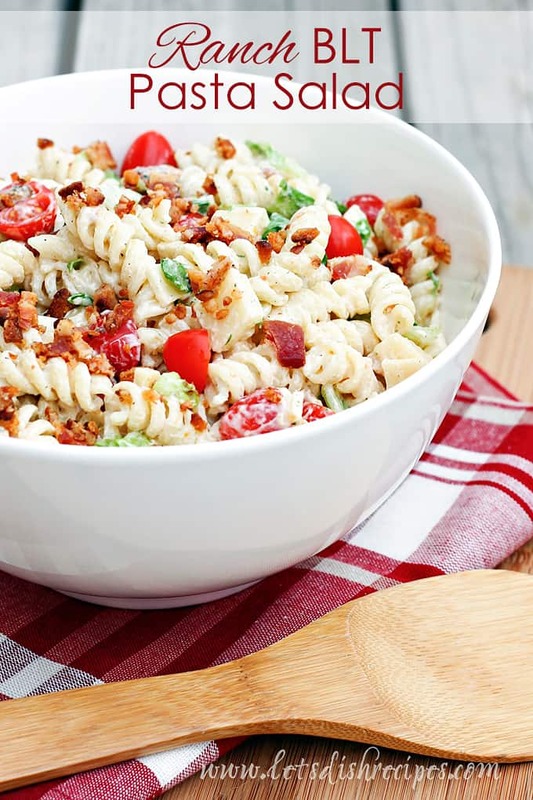 This recipe looks so great for a summer day! Thanks for sharing your recipe and linking to Tempt My Tummy Tuesday. This looks great! I absolutely love orzo… it’s such a fun pasta to work with. Thanks for sharing the recipe. Oh, this sounds so good and healthy, too! What a beautiful food blog! It’s making me hungry and anxious to get in the kitchen! So glad you liked this! I’m following you now – ALL of your recipes sound delicious! I made this exactly as posted and it was FANTASTIC! !